Reading isn’t the only way to become a better writer. Sure, there’s practicing. But what about becoming a better writer while doing something you love, like watching TV? 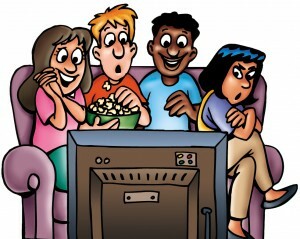 Everyone has a favorite show. Or maybe you have a top 3. Or maybe you can’t decide because the last season of the show you thought was your number 1 was so horrible, you adopted a new number 1. I have a top 4. 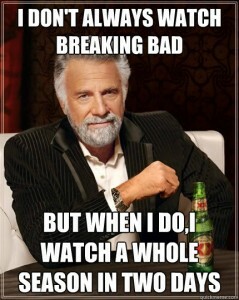 Breaking Bad is easily #1. Dexter is #2. Game of Thrones comes in a close #3. 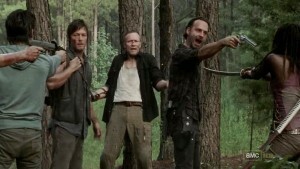 And The Walking Dead is on mop up duty at #4. Why is your favorite show your favorite? Why do you have a top 3, and why are they in a specific order? These are important questions, especially for us writers. 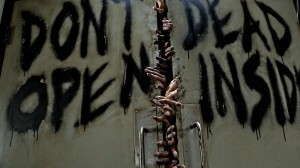 2 of my top 3 (Dexter and Game of Thrones) started out as novels, and The Walking Dead began as a comic. Even if they hadn’t, scripts are the heart of any TV series or movie. Scripts are where stories are birthed. Then they’re just translated into different mediums. What I’m saying is, your favorite TV shows are translated versions of writing. And writing’s what you do. So it’s really important to understand the mechanics of the programs you watch. Study what makes them your favorite. 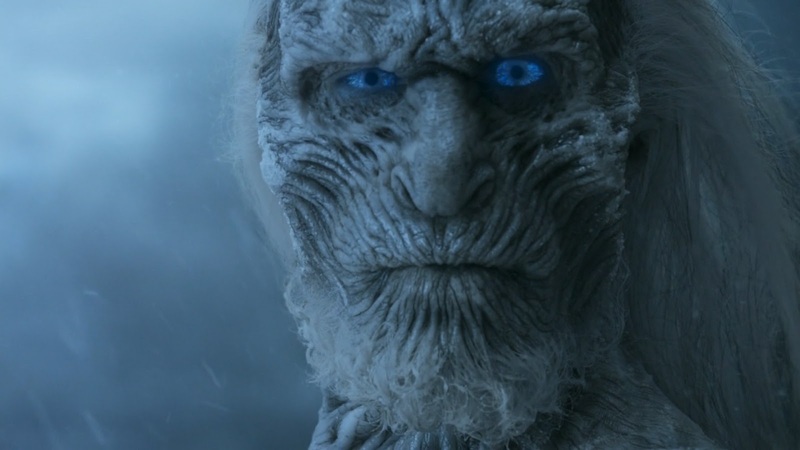 How Game of Thrones pulls in around 5 million viewers per episode, and how The Walking Dead season 3 finale had a record-breaking total of 12.4 million viewers. Each one of us wants our work to be read by as many people as possible. Wouldn’t it be nice to have those 12.4 million fans? Hell, I’ll take the 5 million. But to get there, we need to study the best. We need to understand the mechanics of these shows to discover why they’re so popular. So, let’s take a look at my top 4 shows, and I’ll explain why I think they’re so successful. I’m one of those people who read the comics, but I did so after watching the show. It left me wanting more, especially since season 3 just ended. 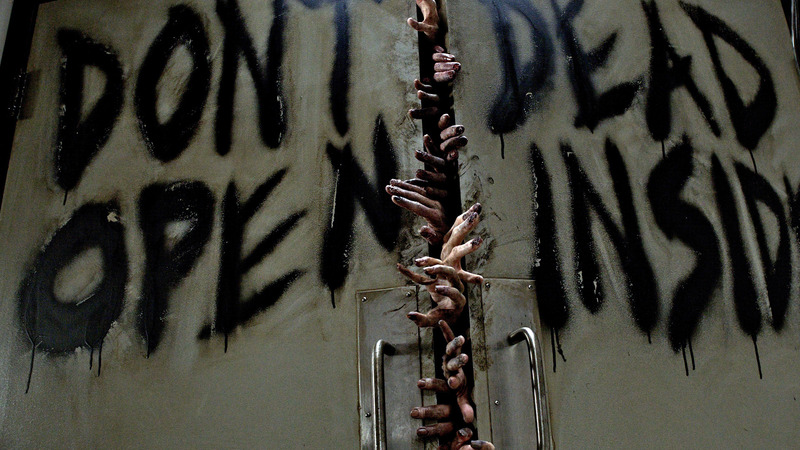 The Walking Dead show begins the same as the comic, a zombie outbreak occurs, drama ensues, but they soon grow vastly different. The comics are far superior, but that doesn’t mean the show isn’t any good. In fact, the show gives us a ton of moral dilemmas to debate over. What’s right and what’s wrong? I often found myself debating with others who watched the show, “What would you do in that situation?” It’s a fantastic question, and it gets people talking. And when people talk about something they love, others get involved, and before you know it, The Walking Dead is being talked about by millions of people. 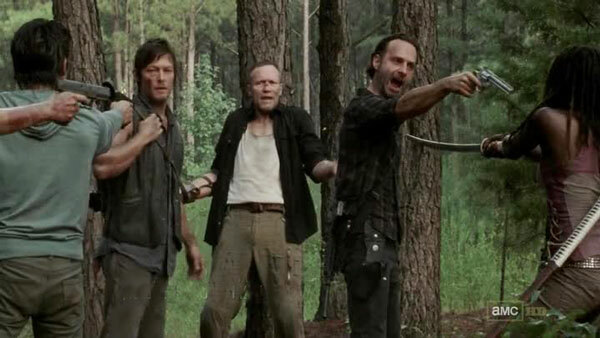 It’s weird, because my favorite character on the show, Daryl, is sometimes nowhere to be seen, and I feel the other characters are either tolerable or dislikable. But the struggle between what’s right and wrong in a world gone to Hell is always present, and that’s what keeps me watching. In the comics, most of the characters are likable, and the dilemmas they get themselves into are so much more shocking. But I can see how most of that wouldn’t be fit for cable. Plus I’m trying to stick with TV here since it’s easy to just plop on the couch and watch the screen. Every great story needs a dilemma to accompany it. When you write your pitch, they say you need to include the main character, what the main character wants, and what hurdles the main character has to overcome in order to achieve it. And if you want top-notch hurdles, look no further than The Walking Dead. 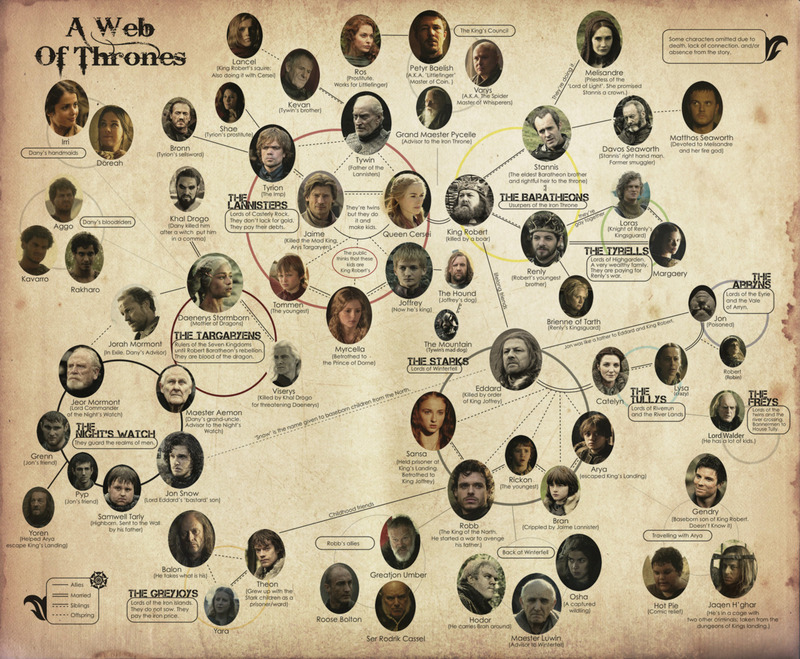 Game of Thrones is the perfect example of how to weave an ensemble of characters together to form a beautiful quilt. In the first 3 seasons, there are over 30 characters to follow, so a big part of this show’s success relies on how well it’s all tied together. If parts aren’t done properly, the quilt which was supposed to look like a cat ends up looking like a melted marshmallow. 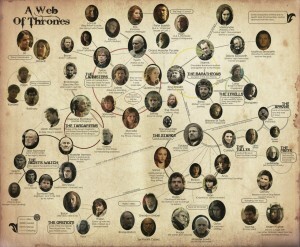 But Game of Thrones focuses on the important things the characters are doing which will impact the story down the line. So in essence, we can sum the story’s success up by saying it’s plotted extremely well with amazing attention to detail. The author of the book, George R. R. Martin, is known to take his time in-between writing each installment, and in the end, it shows. But that’s because he’s thinking ahead, and trying to imagine the best outcome for each possible scenario. Which outcome will leave him with the best options in the end? Game of Thrones also excels at using things in moderation. Yes, it’s a fantasy series. Yes, there’s magic and white walkers and fire gods and so on and so forth, but we’re never bombarded with any of it. In different chapters, bits and pieces pop up, but the focus is always on the evolution of the characters—how they come together and clash or how they come together to overcome. 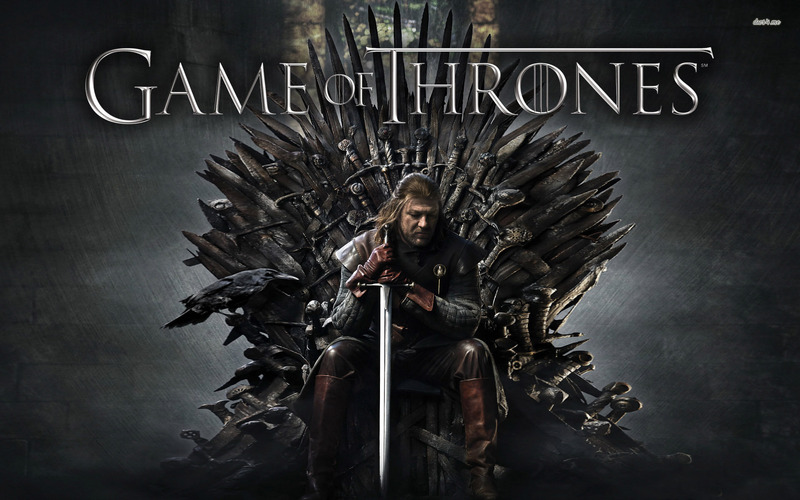 I’ve been told the series follows the books very closely, so if you want to see epic fantasy storytelling at its finest, look no other place than Game of Thrones. Dexter sounds simple. It’s the story of a blood-splatter expert working for Miami Metro who also happens to be a serial killer. But he only kills bad people—those who are clearly guilty of heinous crimes. So it’s okay, people—he’s saving us, or at least the people in Miami, a lot of tax dollars. 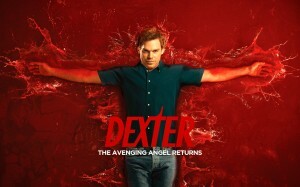 The reason I always put Dexter as my number 2 show is because of the unforgettable twists. The ending of season 4 is the biggest shocker I’ve ever encountered in a series. Nothing really even comes close. Twists are one of the best ways to make stories stick with readers. Sure, you can weave a flawless story together and leave the reader in awe while they’re pushing onward, but what happens at the end? The ending is your farewell speech, and you can either sputter to a stop or go out with a bang. Not every twist has to be structured this way. The shocker at the end of Dexter season 4 seems to come out of nowhere, but it’s shocking because of the writers’ audacity to do something so extreme. Seasons 1 and 2 also have great twists. The writers clearly knew their genre. Knew the clichés. Knew what people were going to anticipate, then did something different—something new. Sort of like what the first Scream movie did. The pick-em-off killer flicks had been done to death, but the writers for Scream knew the pitfalls to avoid, and with that knowledge, they were able to create a fresh spin on a worn-out plot. In order to give your readers a fresh take on what they’ve already become accustomed to, you need to think outside of the box, and Dexter is jam-packed with unique solutions to help stimulate your mind. Breaking Bad is storytelling at its finest. It’s about a boring chemistry teacher who learns he’s dying of lung cancer, so he begins cooking meth in order to leave money behind for his family. This show’s greatest strength is Walter White’s character development. At the very beginning of the series, Walter, the MC, is a passive chemistry geek who listens to his wife’s every word and allows others to walk all over him. He eventually transforms into a complete badass, and during one of the most tension-filled scenes in the series, he says to a drug distributor, who is with his associates, “Say my name,” and the guy does. 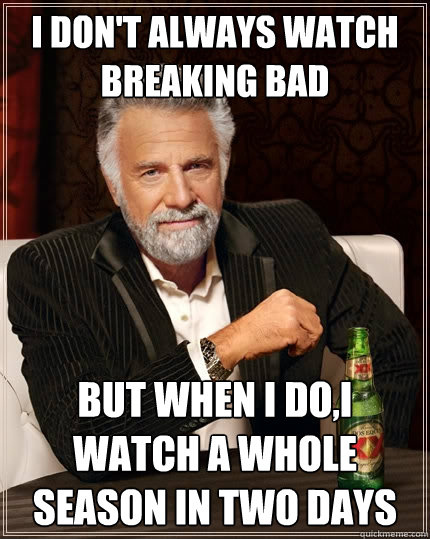 But it’s the slow buildup in-between that makes Walter’s character a 3-time Emmy winner. The buildup is paced perfectly, which increases the constant tension. But Walter doesn’t become a badass overnight. It takes months, and even in the middle of this last season, he’s still struggling with who he is and who he wants to be. This is an area you should always focus on in your stories. Readers want change. They don’t want to read about the same character doing the same thing on page 1 and page 300. A story needs to progress, and at the heart of every story is a struggling character. 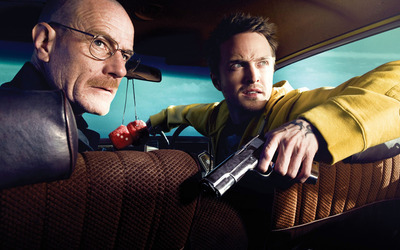 Even though Breaking Bad is fiction, and some of the events seem a bit exaggerated, the characters have to go through Hell in order to get what they want. The cliché in fiction is that when someone needs something, if you turn the page, they’ll have obtained it. Maybe a character needs a password to break into a database or heavy artillery for a gunfight. Wait a minute! They happen to know a guy who knows an arms dealer. Or they guess three times, and whaddya know, the third time really is a charm. These scenarios are almost laughable anymore, and they’re happening more and more often, and it’s because of lazy writing. Because the writers already spent enough time figuring out the main plot details, so who cares about the little things? Breaking Bad doesn’t skip over these details, and trust me, they matter. If a character needs something, they go through a process to get it, just like you and me. And most of the time, it’s more hassle than it’s worth. Breaking Bad doesn’t add fluff. 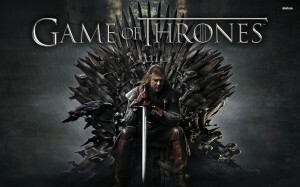 After the series comes to an end later this year, it will have spanned 5 seasons. Those 5 seasons take place over the course of 1 year. 1 year! Which means every side plot in this show adds to the overall story arc. And what is that story arc? Is it about building an empire? Becoming the king? Walter White avoiding capture by the police, headed by his brother-in-law? Nope. 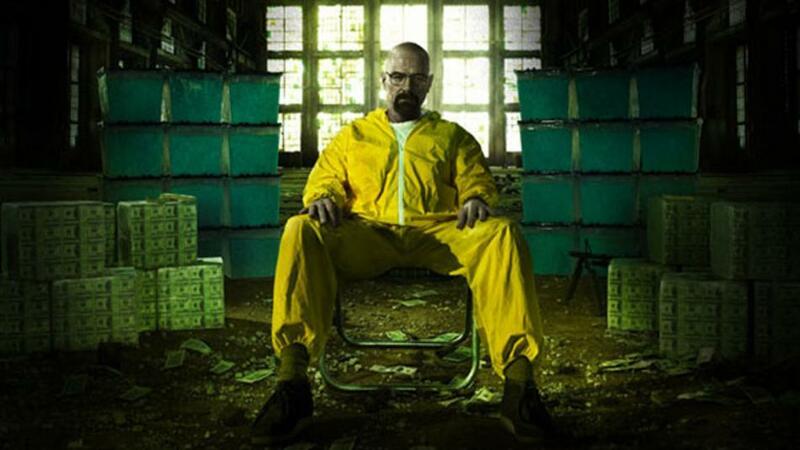 The overall story arc revolves around what makes Breaking Bad one of the best shows on television—Walter White’s character development, and what, when the chips fall, he’s going to do in the end. Regardless of the type of story you’re writing, you should watch this show and study the character of Walter White. Also, the chemistry between him and his partner Jessie (no puns intended) is remarkable. 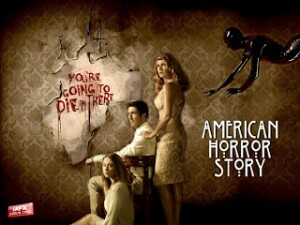 I also enjoyed season 1 of American Horror Story. Thought the central plot was really disturbing. This show did a fantastic job of making me think the story was about one thing, while in essence, it was about something else entirely. For humor, I’m currently watching Arrested Development. After a few episodes, it really hits its stride, and I have to say, the material is super clever. It seems like a bunch of random things always happen, but then they always come together in the end, and I’m always left in awe at how every bit of information was used for a reason. Also, the characters on this show are such extreme exaggerations that you can’t help but want to see more of them. You might not be interested in these shows, or maybe you tried to get into them and couldn’t, but the fact remains—they’re popular. 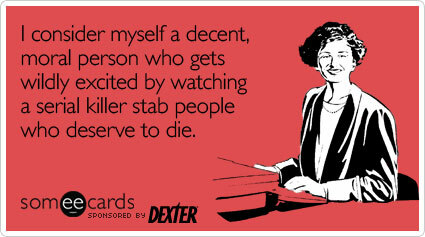 And the shows you do enjoy, they’re popular, too. It’s our job to sit down and enjoy them, and at the same time, pay attention to why we enjoy them so much. What is it that makes the show you love so great? When you begin to understand these mechanics, you’ll become a better builder, and the worlds you create will be benefit from it. Now go watch some TV! 7 Responses to "Improve Your Writing by Watching TV"
We stumbled over here from a different website and thought we may as well check things out. We have enjoyed our stay while our sprained ankles healed. I simply could not depart your website before suggesting that I actually enjoyed the usual info a person supply in your guests? I gonna be back often to check up on new posts? You must bear in mind that the kind of foods within this diet are extremely AWESOME. You can study a lot about aerial dog fighting by watching hummingbirds. I thought you would talk about hummingbirds here, but you have not. Despite this, I think you are as cool as, if not a tad cooler than hummingbirds! I lost about 15 pounds within the first 6 minutes of reading your site. Dieting is breaking habits and learning new ones, like reading all your blog posts, which comes naturally. Ask people around you how much they’ve lost reading your site and if they experienced these symptoms. Hola! I’ve been reading your website for some time now and finally got the courage to go ahead and give you a shout out from Dallas Tx! Hi I am so happy I found your webpage, I really found you by accident, while I was researching on Google for something else, Anyways I am here now and would just like to say cheers for a remarkable post and a all round enjoyable blog (I also love the theme/design), I don’t have time to go through it all at the moment but I have saved it and also added your RSS feeds, so when I have time I will be back to read a lot more, keep up the fantastic work.